So I admit it, I'm a total ‘fad’ person, and my latest obsession is the parkrun. It's a charity organised 5k run in local parks and they are held all over the continent.One of the great things about parkrun is that once you have registered, all you need is your bar code and your trainers (some clothes may help too....). 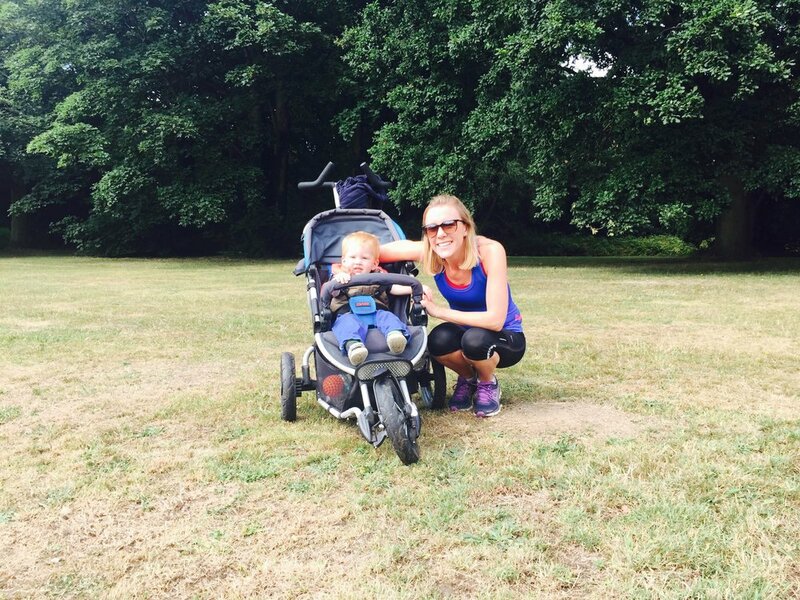 As a new mum we have now invested in a running buggy so that we can participate as a family. These races are family friendly, with plenty of children running and getting into good habits at a young age. With rates of obesity and diabetes ever increasing, exercise and good nutrition are vital in our fight against them. Habits and hobbies that we develop as children mean we are much more likely to carry these on into adulthood. It brings the competitive streak out in my personality and I put so much more in compared to going for a run on my own. The real competition is with yourself and beating the previous week’s time. A couple of hours after the race you get your time emailed to you, including position in age and gender category. I started off at 27:40 after not having run since 2012, when I did the London marathon (training for that had put me off running for some time!) The following week I ran after a few wines the night before and added a minute to my time… This wasn't the direction I wanted it to go in and I have to admit I started to take it seriously. The running watch was dusted off and sub 25 minutes became the serious goal. I have to admit that it still took a few weeks to remember the simple things like pressing “start” on the watch, but it did begin to make a difference. A couple of weeks ago and I had achieved some new personal bests (PBs) but not my goal. To achieve this I needed a plan and part of that was joining a local running club. This involved running around 6 miles, which is a great endurance builder and makes the 5k seem much easier on the day. The next thing was how I could maximize my performance through my diet, and here is what I did: • Nutritional balanced meal the night before, incorporating protein, complex carbohydrates, such as sweet potatoes, and plenty of vegetables. You want to stock up before race day and this doesn’t need to be on refined carbohydrates that may irritate the gut, such as bread and pasta. Making sure you meet your training energy requirements will help to prevent injury. • In the morning have some carbohydrates, I personally like porridge before a run as it is filling and provides a good source of energy. • Eat either immediately after the race or within 30 minutes. This should be a snack containing a mix of carbohydrates and protein. Ideas include protein bar or protein shake. To improve over time, you need your muscles to recover, get stronger and avoid injury. • Avoid alcohol the night before. • Manage inflammation in the body, for example if you have food intolerances or allergies, then these may present as an immune challenge and affect your performance. Work with a nutritionist on this to improve performance. • It is also important, if you have any underlying health concerns, to deal with these. The better balance the body is in, the better you will perform. So what have I learnt from this... Well one is that you can quite quickly improve your fitness levels if you put your mind to it, through exercise and good nutrition. Most importantly though is exercise should be fun and family friendly, exercising with others means you are more likely to stick with it. Running isn’t for everybody, so find what works and motivates you. So over the 6 park runs I have completed, I have achieved my goal and my time came in at 24.19, reducing my time by 3.5 minutes. I’m really pleased with this achievement and will bask in the glory for at least a week… Of course I now need a new target to aim for (sub 22 minutes or am I mad?!) and with the moving of the goalposts, I’ll need to work even harder on my fitness levels and nutritional discipline over the coming weeks.